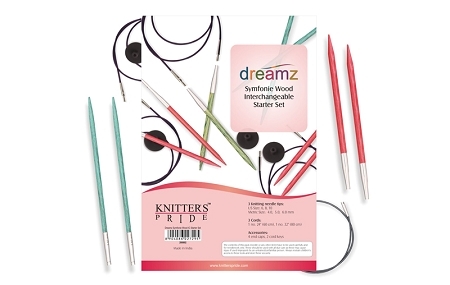 Deluxe includes US sizes 4-11 needles in a clear vinyl case with 4 cords (to make 24", 40" & 2 of 32"), 1 set of size markers, 8 end caps, 4 cord keys, and one cord case. 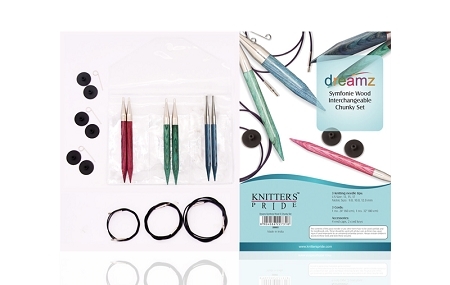 Starter includes US sizes 6, 9, and 10 needles in a clear vinyl case with 2 Cords (to make 24" & 32"), 4 end caps, and 2 cord keys. Chunky includes US sizes 13, 15, and 17 needles in a clear vinyl case with 2 Cords (to make 24" & 32"), 4 end caps, and 2 cord keys. Easy to connect cord with a smooth join that enables stitches to glide easily no snag! Comes in a convenient to store and carry case, made of clear vinyl, with plenty of pockets for storage.